West Australian Opera and the City of Perth present Verdi’s masterpiece of love, hope and second chances in concert performance. 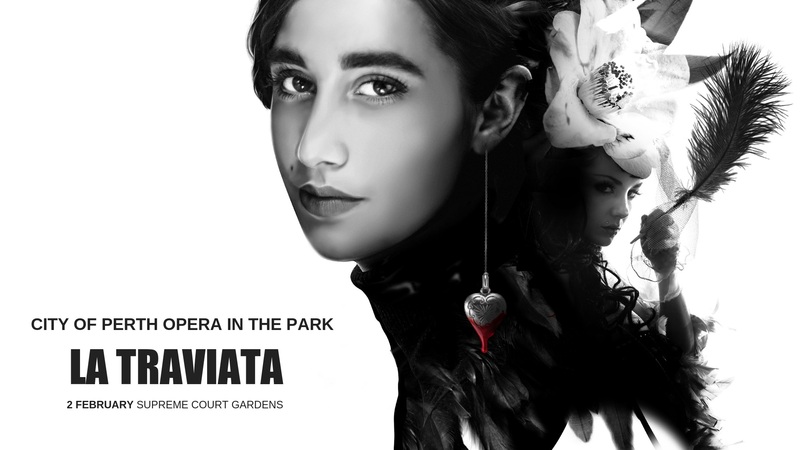 Verdi’s enchanting score tells the story of Violetta, a troubled courtesan harbouring a dark secret. Violetta’s outlook on life changes when she falls in love with the charming Alfredo, who is equally besotted with her. Alfredo’s father disapproves of the blossoming relationship and he stands in the way of true love. Violetta is forced to choose between being with her love or sacrificing her own happiness in order to save Alfredo’s family reputation. Considered the crowning jewel in all of Verdi’s remarkable repertoire, this opera will delight and enchant everyone. FREE EVENT.